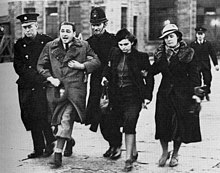 ^ "11 Allies Condemn Nazi War on Jews". The New York Times. 18 December 1942. (Subscription required (help)). Biddiss, Michael (2001). 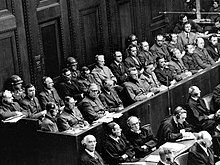 "Nuremberg trials". In Dear, Ian; Foot, Richard D. The Oxford Companion to World War II. Oxford: Oxford University Press. pp. 643–646. ISBN 0-19-280670-X. Buchheim, Hans (1968). "Command and Compliance". 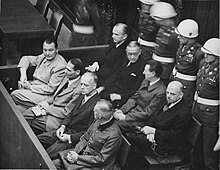 In Helmut Krausnick; Hans Buchheim; Broszat, Martin; Jacobsen, Hans-Adolf. The Anatomy of the SS State. New York: Walker and Company. pp. 303–396. Fisher, Ronit (2001). "Medical Experimentation". In Laqueur, Walter. 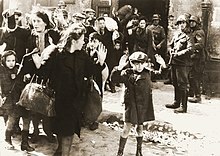 The Holocaust Encyclopedia. New Haven, CT: Yale University Press. pp. 410–414. ISBN 0-300-08432-3. ——— (2010). "An Integrated History of the Holocaust: Possibilities and Challenges". In Weise, Christian; Betts, Paul. Years of Persecution, Years of Extermination: Saul Friedländer and the Future of Holocaust Studies. New York and London: Continuum. pp. 21–29. ISBN 9781441129871. Gilbert, Martin (2001). "Final Solution". In Dear, Ian; Foot, Richard D. The Oxford Companion to World War II. Oxford, UK: Oxford University Press. pp. 285–292. ISBN 0-19-280670-X. Hancock, Ian (2004). "Romanies and the Holocaust: A Reevaluation and Overview". In Dan Stone. The Historiography of the Holocaust. New York: Palgrave-Macmillan. pp. 383–396. Langbein, Hermann (1998) . "The Auschwitz Underground". In Gutman, Yisrael; Berenbaum, Michael. Anatomy of the Auschwitz Death Camp. Bloomington, IN: Indiana University Press. pp. 485–502. ISBN 0-253-20884-X. Laqueur, Walter (2001). 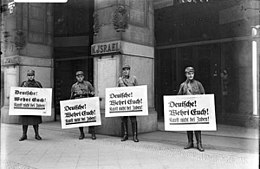 "Jewish Brigade". In Laqueur, Walter. The Holocaust Encyclopedia. New Haven, CT: Yale University Press. p. 351. ISBN 0-300-08432-3. ——— (2015). "Series Preface". In Marrus, Michael R. The Nazi Holocaust. 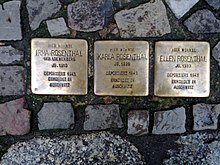 Part 1: Perspectives on the Holocaust. Westport and London: Meckler. Matthäus, Jürgen (2004). "Operation Barbarossa and the Onset of the Holocaust, June–December 1941". In Browning, Christopher. 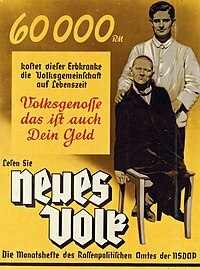 The Origins of the Final Solution: The Evolution of Nazi Jewish Policy, September 1939 – March 1942. Lincoln, NE: University of Nebraska Press. pp. 244–308. ISBN 0-8032-1327-1. Milton, Sybil (2001). "Jehovah's Witnesses". In Laqueur, Walter. 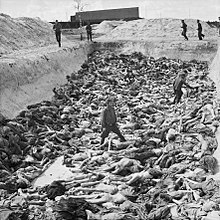 The Holocaust Encyclopedia. New Haven, CT: Yale University Press. pp. 346–350. ISBN 0-300-08432-3. Orth, Karin (2009). "Camps and Subcamps under the SS-Inspectorate of Concentration Camps/Business Administration Main Office". In Megargee, Geoffrey P. Encyclopedia of Camps and Ghettos, 1933–1945. 1A. Bloomington and Indianapolis: United States Holocaust Memorial Museum, Indiana University Press. pp. 181–196. ISBN 978-0-253-35328-3. Piper, Franciszek (1998a) . "The Number of Victims". In Gutman, Yisrael; Berenbaum, Michael. Anatomy of the Auschwitz Death Camp. Bloomington, IN: Indiana University Press. pp. 61–80. ISBN 0-253-20884-X. ——— (1998b) . "Gas chambers and Crematoria". In Gutman, Yisrael; Berenbaum, Michael. Anatomy of the Auschwitz Death Camp. Bloomington, IN: Indiana University Press. pp. 157–182. ISBN 0-253-20884-X. ——— (2000). Długoborski, Wacław; Piper, Franciszek, eds. 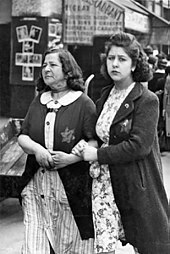 Auschwitz, 1940–1945. 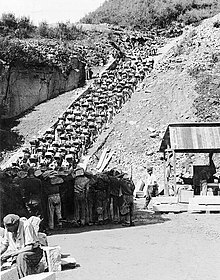 Central Issues in the History of the Camp. Volume III: Mass Murder. Oświęcim: Auschwitz-Birkenau State Museum. ISBN 978-8385047872. Polonsky, Anthony; Michlic, Joanna B. (2004). "Preface". In Polonsky, Anthony; Michlic, Joanna B. The Neighbors Respond: The Controversy over the Jedwabne Massacre in Poland. Princeton and Oxford: Princeton University Press. pp. xiii–xiv. ISBN 0-691-11643-1. Tec, Nechama (2001). "Resistance in Eastern Europe". In Laqueur, Walter. 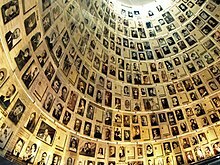 The Holocaust Encyclopedia. New Haven, CT: Yale University Press. pp. 543–550. ISBN 0-300-08432-3. Weinberg, David (2001). "France". In Laqueur, Walter. The Holocaust Encyclopedia. New Haven, CT: Yale University Press. pp. 213–222. ISBN 0-300-08432-3. Zweig, Ronald (2001). "Reparations, German". In Laqueur, Walter. 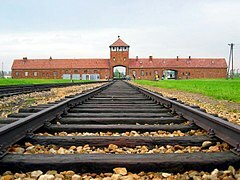 The Holocaust Encyclopedia. New Haven, CT: Yale University Press. pp. 530–532. ISBN 0-300-08432-3.